Takeda Pharmaceutical Co. (4502) in May reported its lowest profit in 15 years. Japan’s largest drugmaker now must rely on its first foreign chief executive officer to engineer a turnaround. 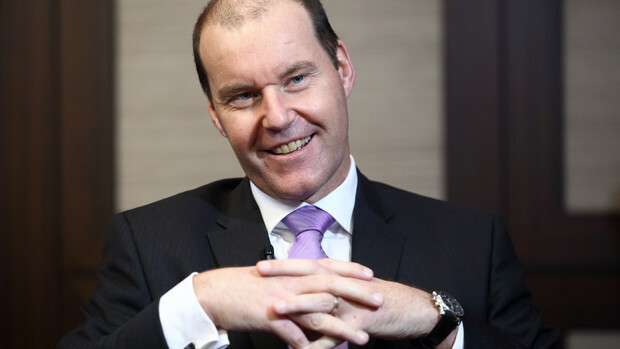 The 233-year-old Japanese company in April hired former GlaxoSmithKline Plc executive Christophe Weber as chief operating officer and plans to have him succeed CEO Yasuchika Hasegawa next year. Three months on his new job, the 47-year-old Frenchman says he is weighing acquisitions in emerging markets, expansion in faster growth countries and a push to develop internal talent. The Japanese drugmaker has struggled to successfully develop new medicines to replace revenue lost after its blockbuster Actos, once the world’s best-selling diabetes medicine, faced generic competition in 2012. In December, Takeda terminated the development of another diabetes drug after it was linked to liver damage. Christophe Weber, chief operating officer of Takeda Pharmaceutical Co. 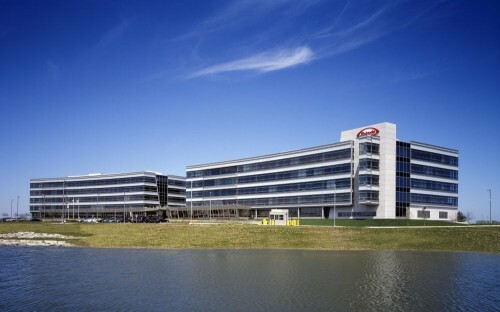 While Weber says he is still finalizing the company’s expansion plans and can’t discuss specifics, he expects Takeda will continue to look for possible acquisition targets in emerging markets. The company has spent at least $20 billion on acquisitions in recent years. It bought Cambridge, Massachusetts-based Millennium Pharmaceuticals Inc. to expand in cancer therapies in 2008 and Swiss drugmaker Nycomed in 2011 to grow in emerging markets. Among the markets that Takeda is looking at is India, Weber said, declining to elaborate. Weber’s appointment will put him among the few international executives to lead a Japanese company and he said a key goal is to bolster talent by developing leaders with a global mindset and building a long-term succession plan. While Nissan Motor Co. (7201)’s Carlos Ghosn has been credited with turning around Nissan, some top executives from overseas have struggled to fit into Japan’s management culture. In 2012, Craig Naylor resigned as CEO of Tokyo-based Nippon Sheet Glass Co. (5202), citing a clash with the board. Weber’s success will hinge on his ability to run the company, and not his nationality, said health-care analyst Yasuhiro Nakazawa at SMBC Nikko Securities Inc. in Tokyo. Weber already has faced resistance as an outsider. A group of 112 shareholders and former employees in a letter to the board earlier this year protested the appointment of a foreigner to the top role. Weber went on to win a board seat at the company’s annual meeting, keeping him on track to ultimately taking over as CEO. The Japanese company reported net income of 107 billion yen ($1.05 billion), a 15-year low, for the year ended March after sales of top-selling medicines were eroded by cheaper generics. Operating profit will increase 7.7 percent to 150 billion yen in the 12 months ending March 2015, Osaka-based Takeda said in May. Weber, a 20-year GlaxoSmithKline (GSK) veteran, was the president of its vaccine division inBelgium before joining the Japanese company. Takeda, which traces its origins to a medicine wholesale business opened in Osaka in 1781, had only Japanese board members until 2009. Enter your email address to follow White City and receive notifications of new posts by email. Empty train. I assume there has been some sort of Walking Dead like pandemic and I’m blissfully unaware enjoying the solitude of my morning commute.